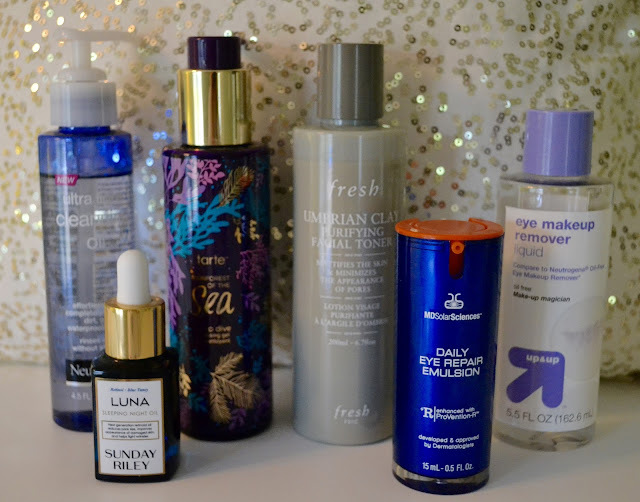 Today I am sharing with you my updated skincare routine! It's been a few months since the last time I shared my routine with you and in that time it's changed quite a bit. I take a lot of pride in taking care of my face and tend to splurge a little more on my skincare items. 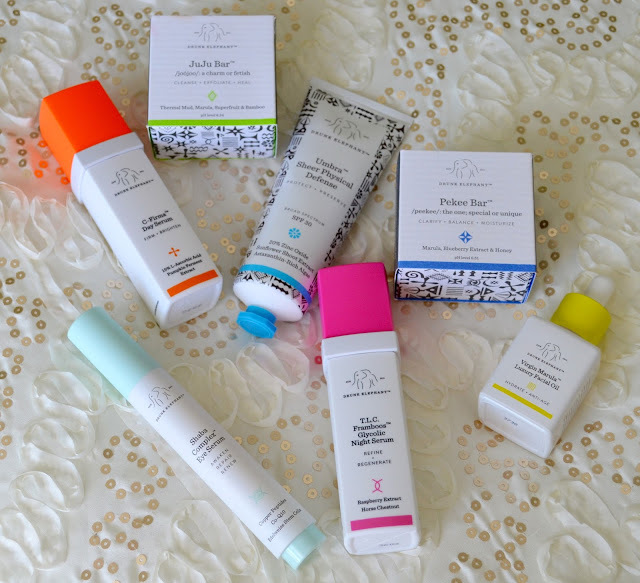 Remember, the most important thing is to find the products that work best for your skin's needs and concerns. 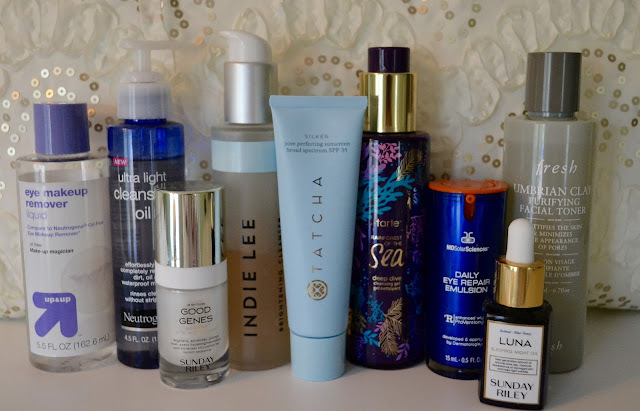 My skin tends to be more on the normal side, where I'm drier on the outer part of my face and my T-zone and be a little oily. Without further adieu, here's a look at my skincare routine. 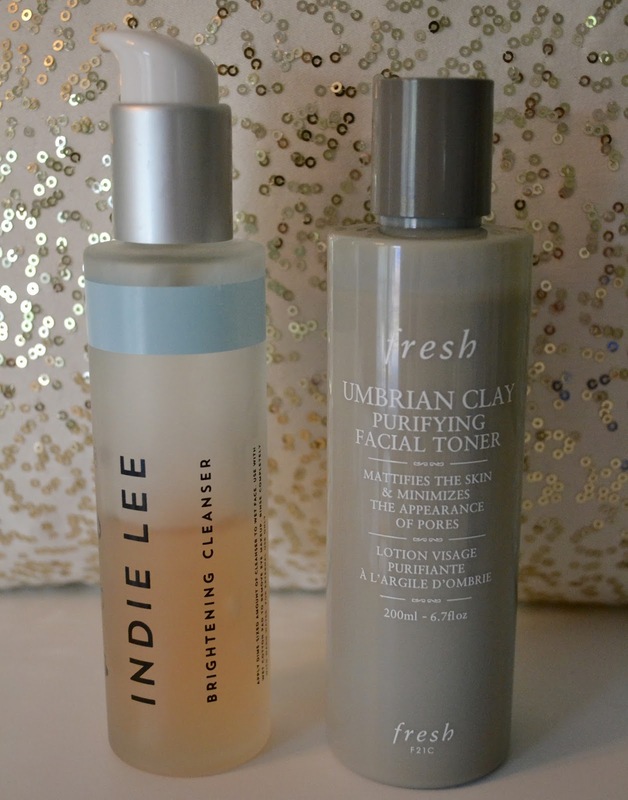 Step 1: Indie Lee Brightening Cleanser-First things first, I alway wash my face as soon at I get up. I love this cleanser! Not only does it smell like strawberries but it is a beautiful refreshing cleanser that doesn't strip my skin and helps to brighten & even out my skin tone as well. Plus I can be used as a quick facial mask to amp up the brightening effect. Step 2: Fresh Umbrian Clay Purifying Facial Toner- To replenish my skins moisture levels after washing I love to tone my face. The clay in this product helps to keep oil at bay but at the same time refreshes my skin and minimizes the appearance of my pores. Step 3: MD Solar Sciences Daily Eye Repair Emulsion- It's SO important to apply your eye cream FIRST before any kind of treatments. Not only does does it apply a barrier around your eyes to protect them from other facial products potentially burning your eyes but your hands will be clean so you won't get anything by your eyes that may burn them. I love this eye emulsion. 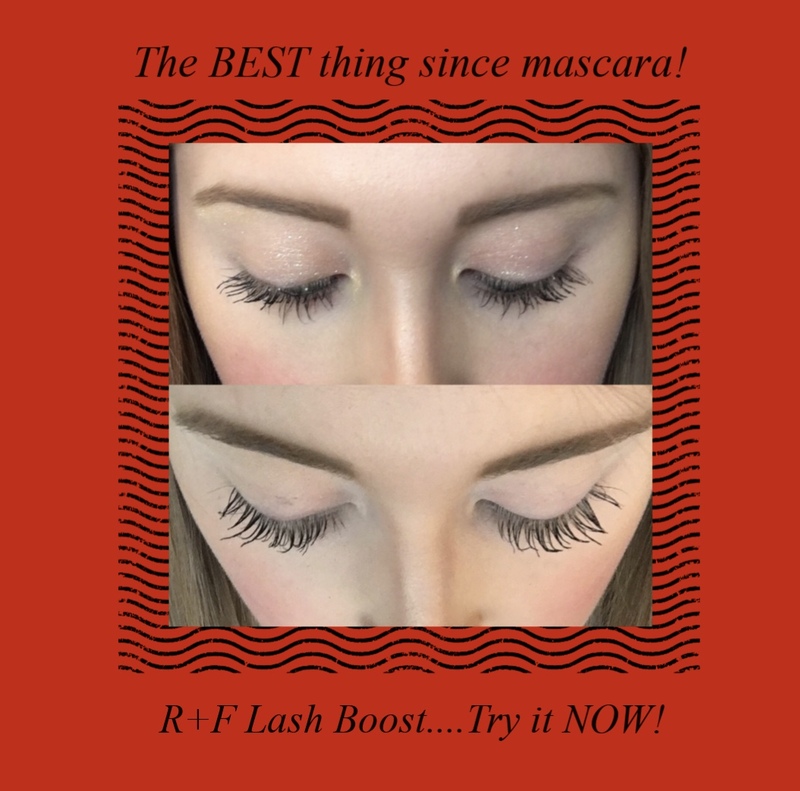 It literally makes my fine lines around my eyes disappear! Step 4: Sunday Riley Good Genes- I talked about this product a few weeks ago and it has quickly become a skincare staple! I swear this stuff is like magic in a tube! I literally felt and saw it working the first night I applied it! 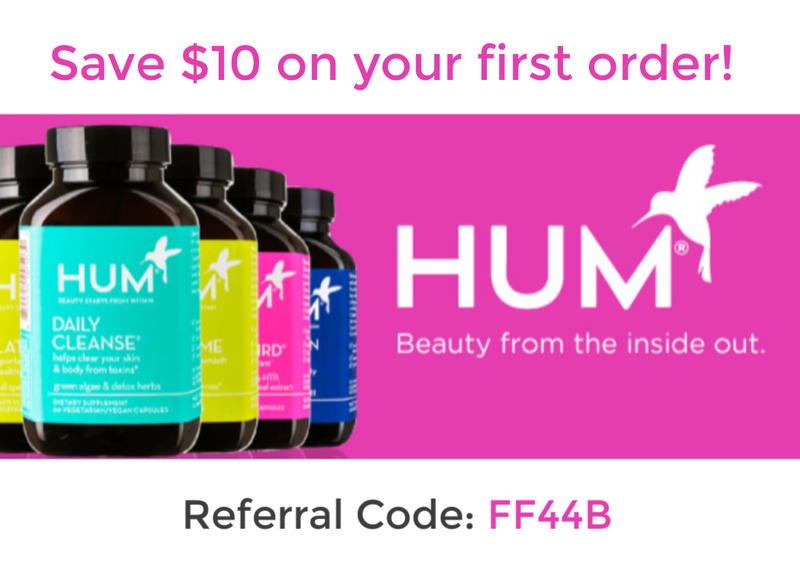 It keeps my acne breakouts at bay and also has brightened my skin significantly! Step 5: Tatcha Pore Perfecting Sunscreen- Last but not least is my SPF! 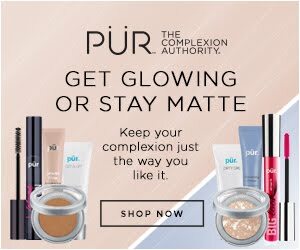 This product blurs my skin, protects my face and acts as a primer for my makeup. This product is so worth the price tag and I highly recommend it to anyone looking for a new SPF and makeup primer. 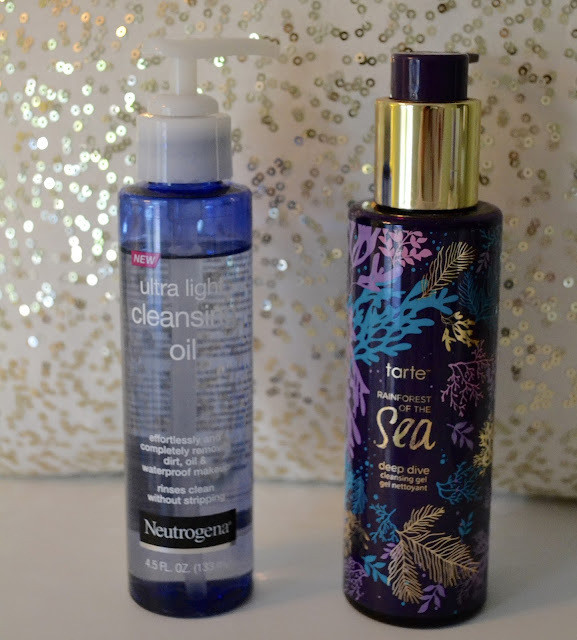 Step 1: Neutrogena Ultra Light Cleansing Oil- I have been doing a double cleanse at night for quite some time and I wouldn't wash my face any other way! 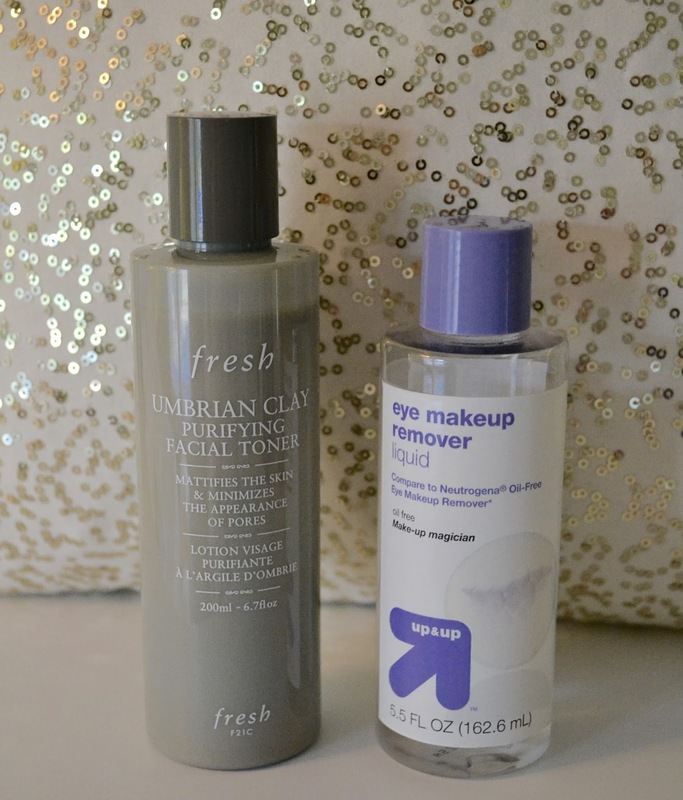 I apply this oil based cleanser to dry skin and it melts away all my makeup. 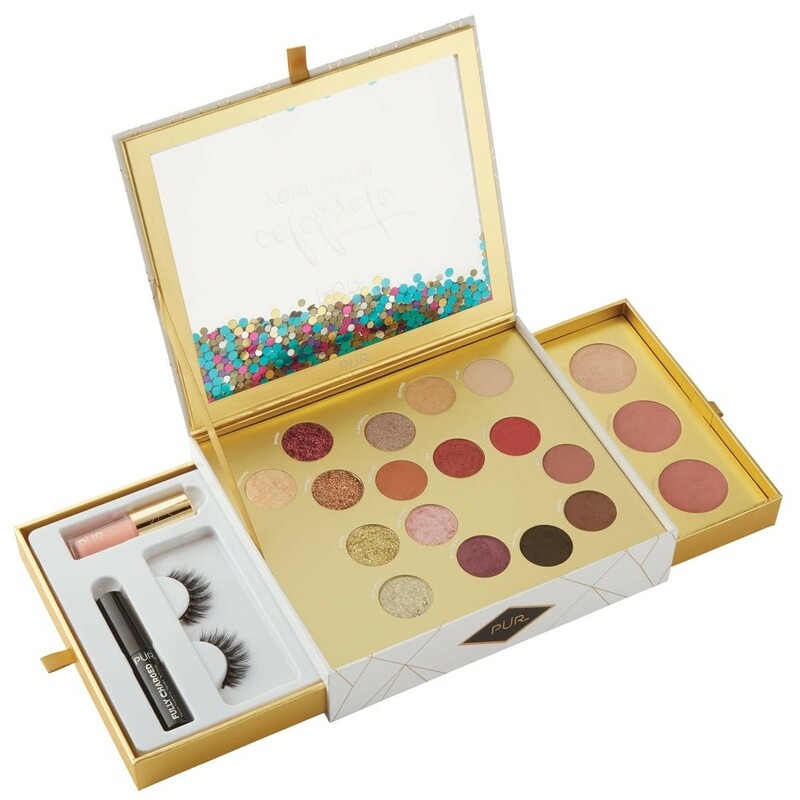 Its super lightweight and gets off all the dirt and impurities from the day. Step 2: Tarte Rainforest of the Sea Deep Dive Cleaning Gel- The second part of my double cleanse is this gel cleanser. This face wash gets rid of what ever makeup and dirt the oil cleanser didn't take off. 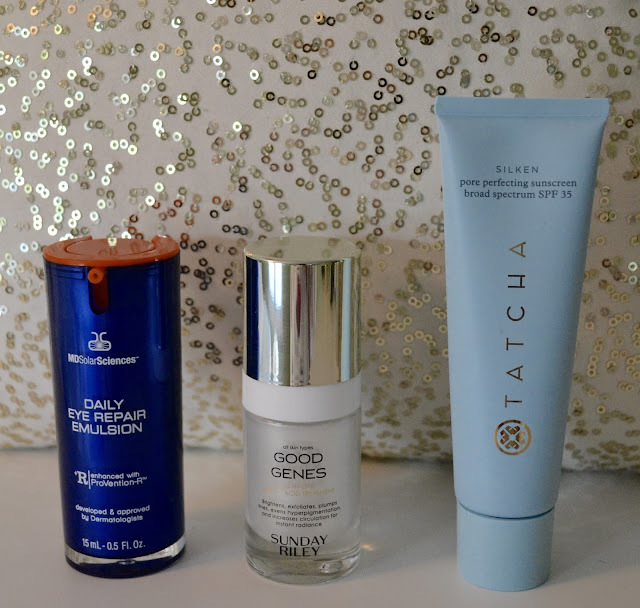 The gel also helps to control the oil in my T-zone without drying out the rest of my face. Step 3: Fresh Umbrian Clay Purifying Facia Toner- Like I said above, I like to use a toner after washing to restore my skins moisture levels. Step 4: Target Brand Eye Makeup Remover- I only use this eye makeup remover to get rid of any stubborn mascara that's left under my eyes. I apply a little to a Q-tip and wipe away the left over mascara. 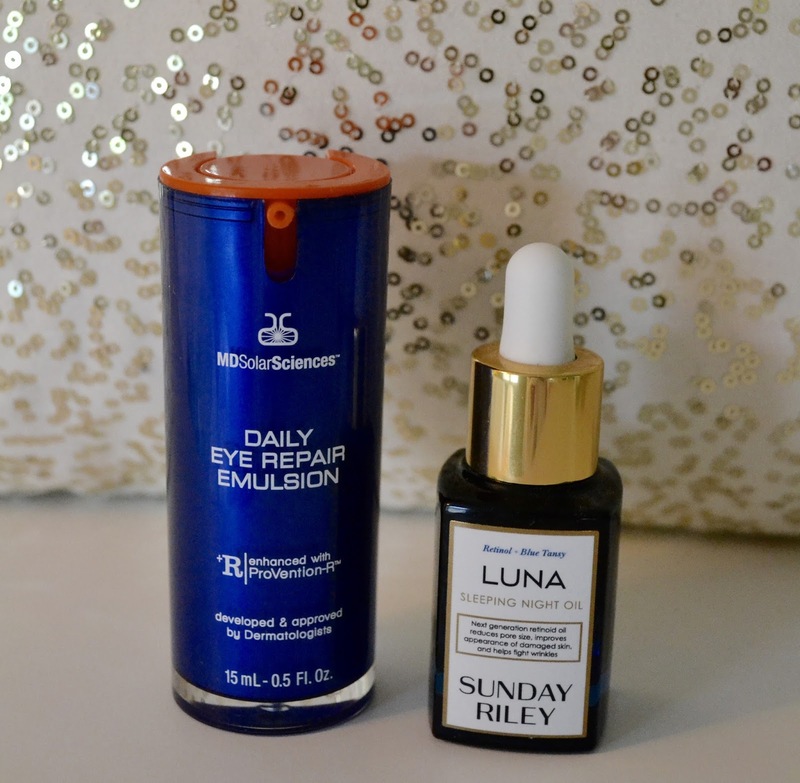 Step 5: MD Solar Sciences Daily Eye Repair Emulsion- Again I always apply my eye cream before any serums or moisturizers. I like using an eye cream thats in a pump. It keeps the product sanitary and keeps them potent as well because you aren't exposing them to the air like in a jar. Step 6: Sunday Riley Luna Sleeping Oil (every other night)- Since I am in my late 20's, I believe it is important to take preventive measures in aging. 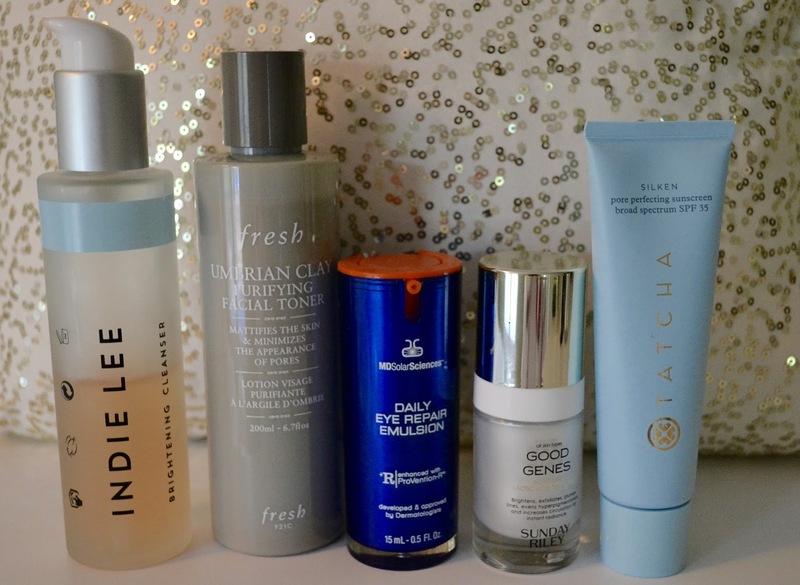 One of the best things to start with is a retinol. This magic ingredient helps to reduce pore size and fight wrinkles. This product is great because the retinol is combined with an oil so it is less drying where retinol alone can dry your skin out. I like using this every other night for a nice balance to my skincare routine. I hope you all enjoyed today's post. Let me know what some of your favorite skincare products are and if you have tried any of the products listed above. Have a great weekend and thank you for all your continued support! !